In our first of many exciting fight announcements for Victory Fights 4, Mitchell Johnson makes his Pro debut, facing Elliott “Toy Boy” Hoye in a Pro Flyweight MMA match up. Mitchell Johnson fights out of Team Crossface in Watford and has been training under UFC veteran and BJJ black belt Dave Lee. Johnson is dangerous in all areas and well tested, having seen everything the amateur game has to to offer. He is now ready to make a statement on his Pro debut. Fan favourite, Elliott “Toy Boy” Hoye trains out of Kenshiro’s in Brighton and Gym 01 in Portsmouth. Expect a noisy crowd as the Hoye Division come to support their man, clamouring to see another dominant finish. Hoye has a 3-0 record as a Pro, having learnt much on the amateur circuit, and since turning Pro has also appeared on BAMMA. Will he be using his experience to school this new opponent? VIP Cageside tables with a 3 course meal are now available. 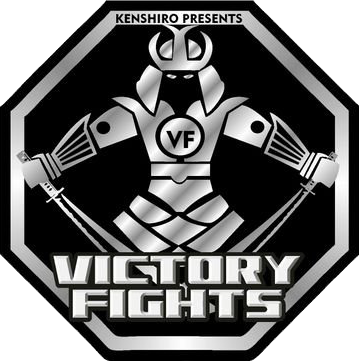 Get your tickets to Victory Fights 4 before they sell out! This event happens on 20th April 2019 at the Brighton Hilton Metropole. Previous VICTORY FIGHTS 4 ANNOUNCED! NEW VENUE!